Close up of the mesh arm. 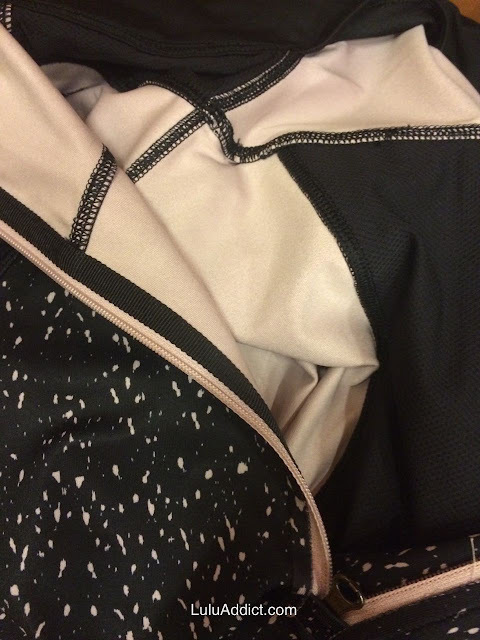 I tried on the Daily Practice Jacket today and was surprised to find out the underside of the arm is mesh since it's not mentioned in any of the web text or highlighted in the photos. Since this jacket comes in herringbone I assume it is a fall piece and am surprised at the design choice for a partially mesh arm. 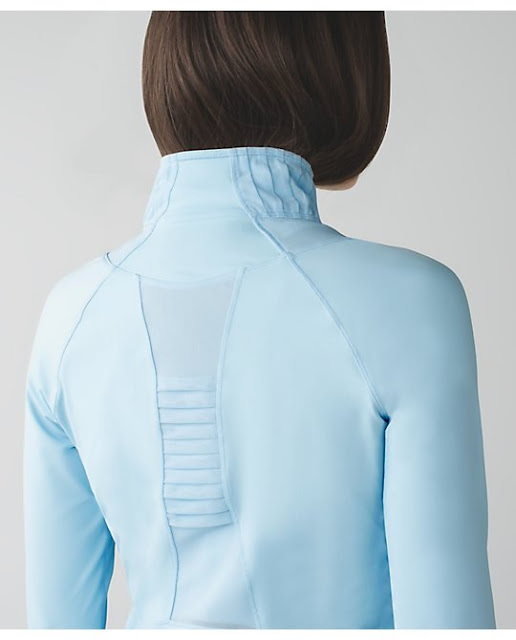 I do like this cooling feature in some of my pullovers (e.g., Race with Grace) and summer weight run jackets but I think of a jacket as long as the Daily Practice a strictly to/fro piece. 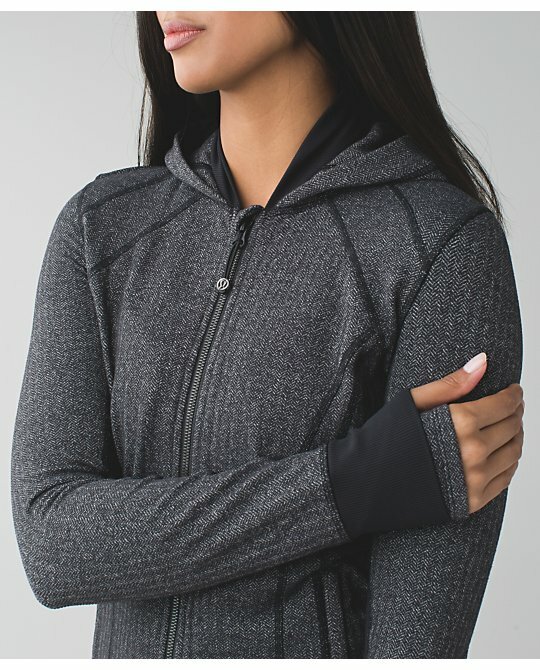 In fact, the times I spotted Stride Jackets the most was when traveling so I think people use this type of jacket as a casual piece and not a technical piece. Besides the mesh arm, I thought the jacket could really use a two-way zipper. It seemed to be just as long at the old Gather Together jacket. The luon in the Sapphire one did not strike me as particularly thick but the mesh arms could have been throwing me off. If you've been waiting for a long jacket, this isn't a bad choice but I didn't love it enough to get one and would probably pass on WMTM, too. Sizing was TTS. Backside of fabric is Mink Berry. My store also got the Go the Distance Pullovers in. I tried on the Butterfly Texture print one. 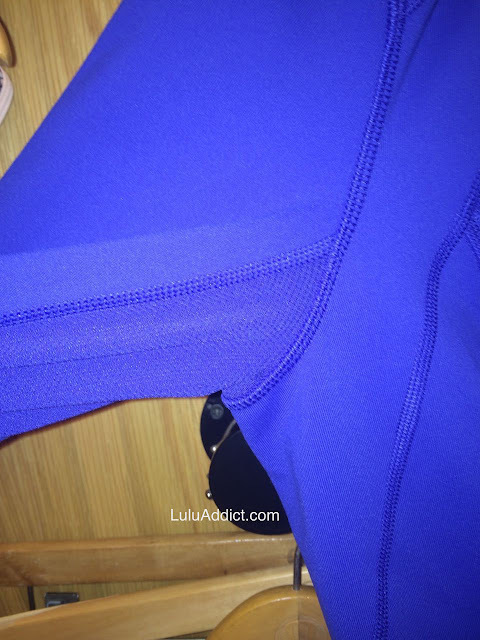 The luxtreme is nicely thick so this top will not reveal any midsection squishiness. The backside of this print is Mink Berry and it fades with stretching so if you have a larger chest be aware. I also thought the use of mesh at the cuffs was an odd choice. I didn't love the pleat detail at the neck either. It's an ok pullover but not one I'd part with $90+ for. Sizing was TTS. Thanks for the try on reports LLA. 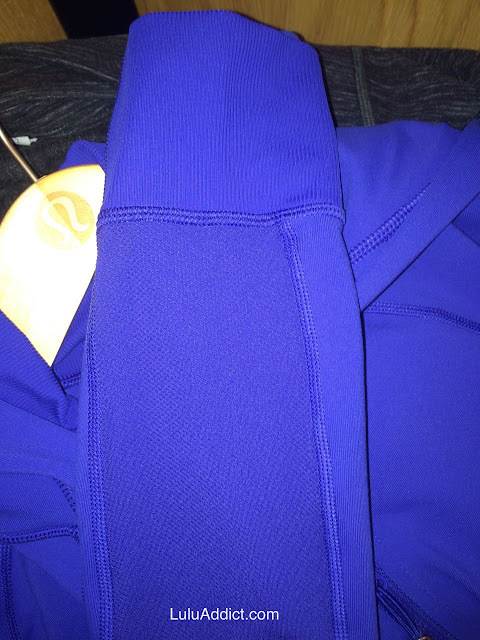 Whenever I look at the light blue Distance PO and it's back, it just fails in comparison to the beautiful details of Angel Blue Tonka Stripe Star Runner 1/2 Zip. I'm not loving the idea of the mesh along the underside of the arms, especially for a jacket like this one. I like the herringbone one, but I think of herringbone as a snugly soft and cozy fall/winter fabric, it just seems so strange to have mesh added along the arms like this, especially when this jacket is more of a too/from and casual wear piece. I think I'll pass, as I really dislike the mesh armpits in the Rulu tops I purchased last year. Seeing the Daily Practice jacket makes me glad i have a Nice Asana jacket. The NA jacket doesn't have a hood, but it's nice, long, good quality, and flattering. I sometimes see them on the FB boards or on eBay, and tempted to get another one. Thanks so much for the try-on reports LLA. I depend on them because our province doesn't have a lululemon. I've been waiting for a royal blue jacket for like forever, and was waffling on the Daily Paratice Jacket. Now that I see there is mesh!!!!!! it's a definite no go for me. 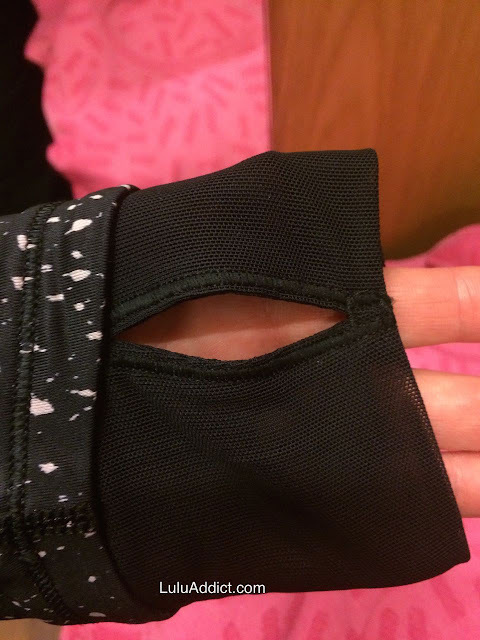 I agree, this is a to and from type jacket.......so why the mesh lulu?!??!? Daily Practice Jacket, I don't get the mesh either. I have the In Stride Jacket (no hood) and I love it. It is a great piece to take on travels. Pullover: Thanks for the report. Probably their first release for the season so I would rather wait and see if anything better comes along. 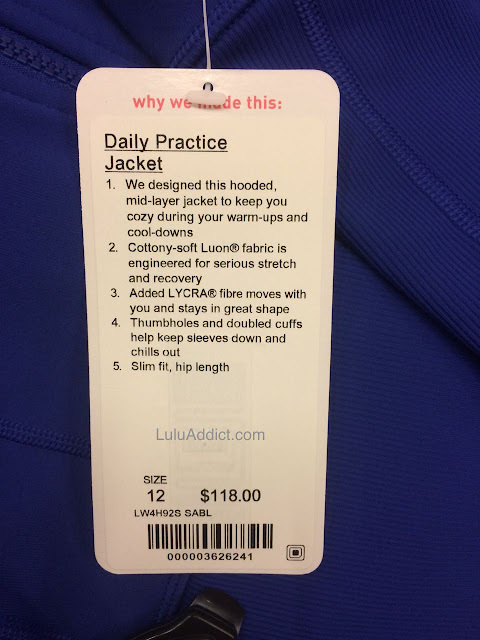 I love lulu and really believe in having good athletic apparel so I hate to be this person - but that Daily Practice jacket looks exactly like one I purchased at Target for $25. 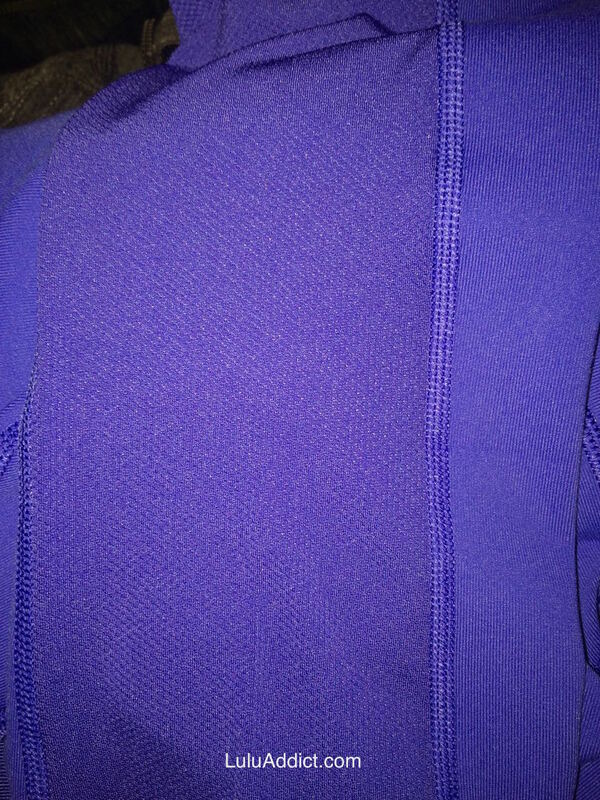 My Target jacket is great quality too! I just can't imagine spending that much money on something I could get much cheaper and use primarily as a to/from piece. When will the herringbone pattern be live?